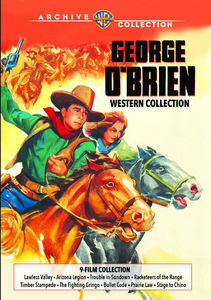 It's no secret here that I'm a huge fan of George O'Brien and that I especially love his RKO B Westerns. It thus made my day to learn that the Warner Archive has a blockbuster nine-film George O'Brien Western Collection on the way in February! The set is a sequel to the Archive's O'Brien Collection of a few years ago consisting of three films costarring Virginia Vale. There's not a listing yet at the Warner Archive site, but Import CDs has the details, which I'm sure will be of great interest to my fellow "B" Western fans. Click the hyperlinked titles above for my past reviews. I've been hoping for these Virginia Vale films ever since I fell in love with the first set, and to have so many other titles released simultaneously is amazing! 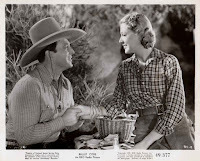 For those who are wondering which O'Brien RKO Westerns have yet to come to DVD, there are two more films he made with Laraine Day, BORDER G-MAN (1938) and PAINTED DESERT (1938), plus GUN LAW (1938) with Rita Oehmen (mother of Charmian Carr of THE SOUND OF MUSIC). 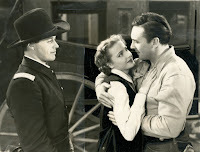 It should also be noted that THE RENEGADE RANGER (1938), costarring Tim Holt, is part of the Tim Holt Western Classics Collection, Volume 1. 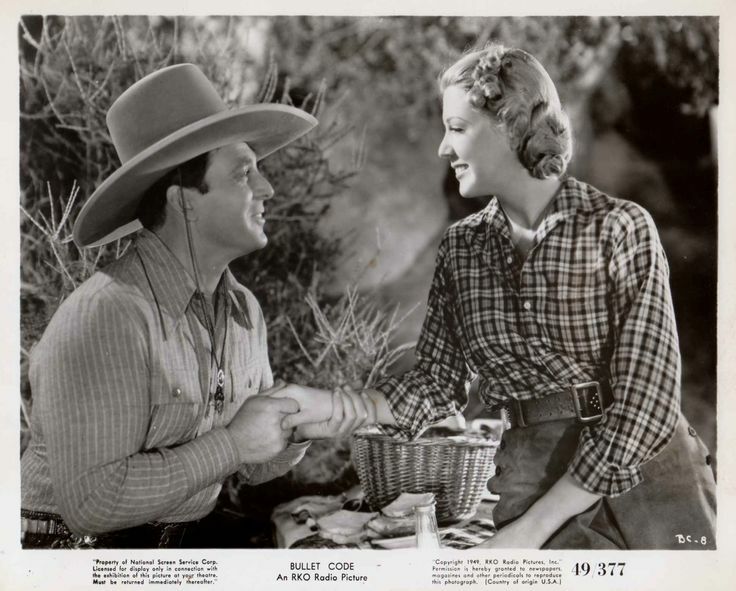 Now if we could only get a final set of Tim Holt's not-yet-on-DVD RKO Westerns! But that's a wish for another day. Thanks to John Knight for the great tip! Update: Here are my new reviews of all the films from the set, LAWLESS VALLEY (1938), RACKETEERS OF THE RANGE (1939), TIMBER STAMPEDE (1939), TROUBLE IN SUNDOWN (1939), ARIZONA LEGION (1939), THE FIGHTING GRINGO (1939), BULLET CODE (1940), PRAIRIE LAW (1940), and STAGE TO CHINO (1940). Wow! A terrific line-up to gladden the hearts of all O'Brien fans and western fans in general. I so agree, Jerry! This was some of the best DVD news of the past year!! Nine films for 22 bucks a great deal by anybody's standards. collection. I wonder if we will get bonus trailers this time.